Do you love big dogs? We are betting that you do! They are impressive, majestic and commanding. But it will come as no surprise to you to know that not all dogs are the same. When you bring an animal this size into your life you had better be prepared! The Great Pyrenees Mountain dog, or Pyrenean Mountain Dog, is a unique breed and is not necessarily suited to all homes. Great Pyrenees puppies can steal your heart and sway your good judgment. But when a Great Pyr puppy becomes a big dog, you may find yourself with a big, imposing, noisy, willful companion to manage for many years to come. 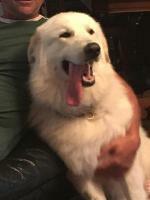 That is why our club is dedicated to informing owners and potential owners of the Great Pyrenees Mountain Dog, about the unique characteristics of this breed. 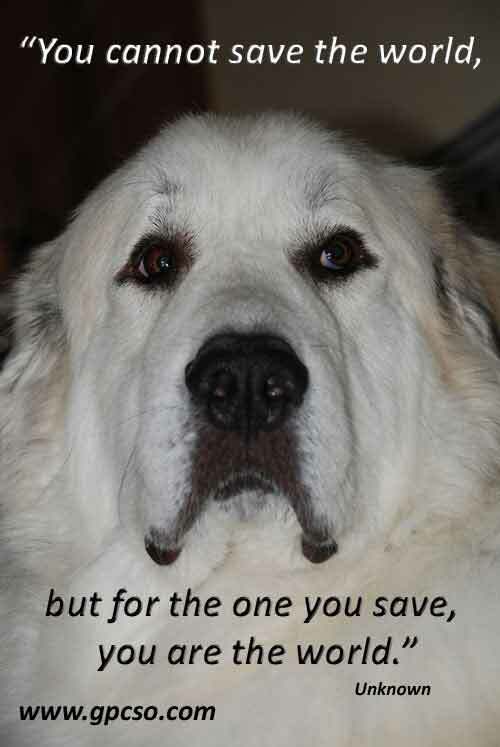 We do so to avoid tragic ends, where these big dogs are not well-bred, properly managed, understood, trained nor socialized, resulting in another so-called “aggressive” great Pyr to be returned to the breeder, sent to a Rescue organization or worst… euthanized. Are these big dogs for you? Read on… then decide. Although Great Pyrs are adaptable to most situations, new owners may be less so. This does result in these beautiful dogs being neglected or abandoned and then, if their luck changes, becoming one of the many dog rescues achieved by the rescue network. Of course we would prefer that this never happen so here is the raw truth about this breed. Even if it’s a free puppy, please… we beg you, be aware and be prepared. 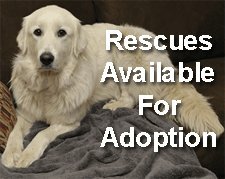 Great Pyrs, like many big dogs require a long term, serious commitment. i. You cannot tolerate hair… lots of hair… in the house, on your clothes, in your car… you will never wear a black suit again. You get the idea. There’s lots of hair! But you can have it spun to make a dandy pair of mittens! ii. You cannot tolerate barking, or your neighbours cannot tolerate barking. Many Pyrs bark… that’s their job. Barking is an early line of defence against anything that encroaches on their property. And Pyrs like lots of property, so it could well include much of your neighbourhood. Our Pyr barks at everything it sees, smells, hears or imagines. iii. You want an off-leash dog. That’s right… most Pyrs like to roam and protect… large areas… acres and acres! Sometimes referred to as a DisaPyr, this is not the kind of dog that will hang around while you work in the garden. Well he may, for a while, until something attracts his interest and he needs to clear the land of perceived predators. Then call him “GONE”! iv. You want a dog to respond to your every command… instantly… whenever you want. No, that is not how it works with a Great Pyr. These dogs have been bred over thousands of years to think on their own without any help from us mere mortals. They will respond… sort of… when they are ready which is usually when they see something in it for them. Sure they respond, but they respond more like an Oil Tanker than a Sports Car. v.	You cannot deal with slobber… yes slobber. Well-bred Great Pyrs do not slobber…well not much anyway. Like most giant dogs, Pyrs will drool at the sight of food, especially if it’s a favourite treat. Hey, and what treat isn’t? And of course after drinking they slobber a bit too. But then I have seen people like that, haven’t you? Just don’t be too close when a Pyr gives a vigorous shake of its massive head! vi. You want a dog to play catch. It could happen… sometimes. But don’t count on it. Although they like to play, catching and retrieving is not a strong suit for a Great Pyr. vii. You are passionately in love with your pristine, landscaped property. Chances are that a Great Pyr will do a little landscaping of its own. And those big front paws really do work quickly… like a Bull Dozer in a Flower Bed! 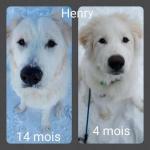 A Great Pyr can change your landscape. viii. You want a lapdog. Do we really have to explain? Sure they are cute and cuddly as puppies, but adults exceed 100 pounds! That lapdog puppy training can be hard to break! ix. You want a dog who wants to please. 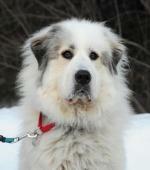 The Great Pyrenees Mountain dog is a big, strong, willful dog. Bred to protect sheep and livestock without the help of humans, these big dogs are genetically wired to think for themselves, and are inclined to not wait for, nor even follow, your commands. As with any dog, you need to respect the Pyr for its natural instinct. As they develop into adulthood, their guarding instincts kick in, too. You need to be ready to work with this dog, not as a boss, but like a partner in dance and you lead. 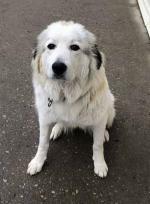 As a Great Pyr develops towards adulthood, it requires constant socialization around people and other dogs to ensure that its temperament remains balanced. A well-balanced Great Pyr should be neither aggressive nor timid, but should show confidence and poise. x. You are unable to be patient and gentle when working your Pyr. That is to say… you are impatient and tend to become angry. A developing Great Pyr will test your patience because they are independent thinkers (we cannot emphasize that enough). It is that simple. Being wilful and independent, they are sometimes slow to respond. But that is not due to lack of intelligence. Pyrs learn quickly. They also bore easily if the routine is not varied. 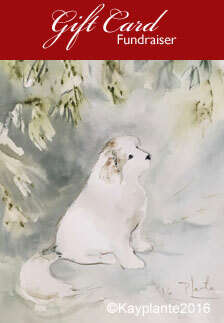 Pyrs respond better to calmness and patience …and certainly not to anger or aggression. So now that you know, ask yourself again: “Is one of these big dogs right for me?” If your answer is “yes” get in touch with breeders in your area, and prepare to change your life forever. If the answer is "No"... then you know what to do.